My son attends St Louis University and the St. Francis Xavier church sits prominently as a cornerstone on campus. Its serene beauty provides shelter and calm to those who visit. My husband actually took the photo with his iPhone - I think he did a great job! 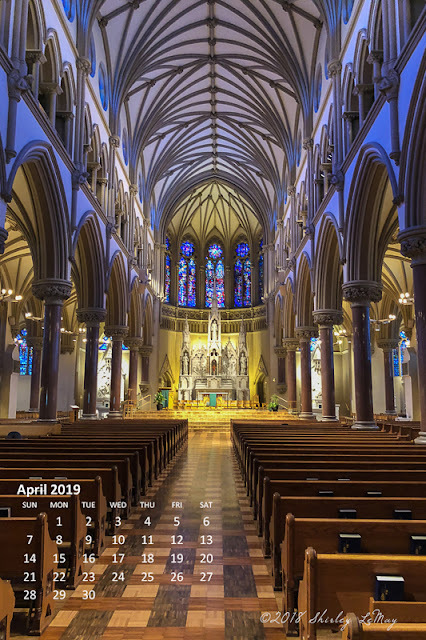 Well, I'm 10 days late with posting this, but that means there are still 21 days to enjoy March's Photo calendar. 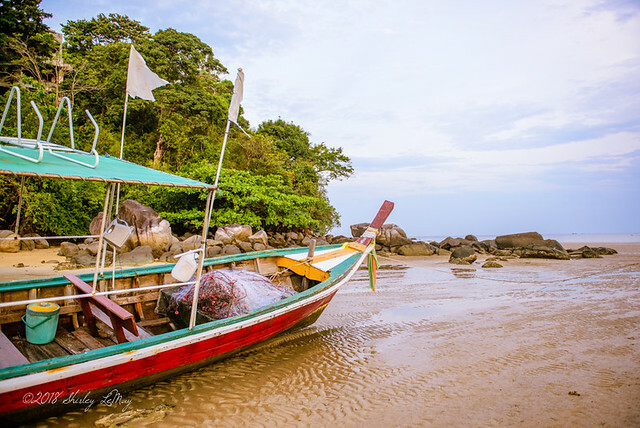 Taken on the island of Phuket in Thailand, the low tide grounds the boats to the sand. We walked across the rippled sea bottom to explore this area, a short distance from our hotel. Even though it is a resort area, ruins of abandoned developments pock the landscape (slightly visible on the ride side of the photo). 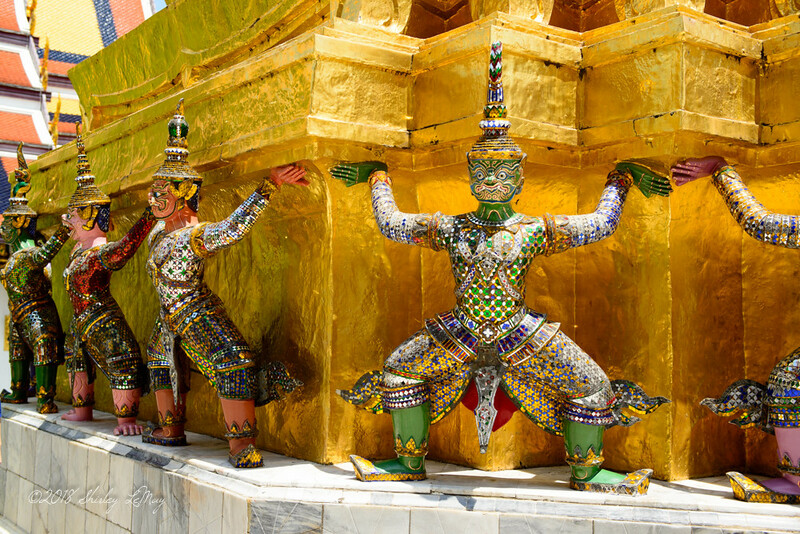 Thailand is a country of dichotomies - rich intermingled with poor. Still, we found the people to be so happy and gracious, country full of lush beauty. Yeah, yeah, almost 2 months into 2019 and here comes a recap of last year? 2018 - It was the worst year of running, it was the best year in spite of that. Coming off my 2017, with all its accomplishments, why wouldn’t 2018 eclipse it all? Several reasons emerged - my Pride went before the fall, age caught up with even me, and well, maybe it just wouldn’t be the year where I smashed all my goals regardless how hard I tried to control things. Yes, I am an admitted control freak (just ask my kids and they will resoundingly nod their heads). I couldn’t control my left hip’s pain and I didn’t foresee tearing something in my right glute (an injury obtained while doing yoga of all things). I could only adjust and force myself to be patient. But, these injuries forced me to slow down, adjust my workouts, divert my focus and in the end, resulted in a 2018 full of rich experiences. What went down: due to nagging left hip pain and lack of trail miles, I withdrew from my planned spring ultra. What I did instead: after a year’s hiatus, I returned to the pool and realized it wasn’t so bad. I drew solace from the dark and cold winter mornings, somewhat thankful I didn’t have to brave those elements on the road. 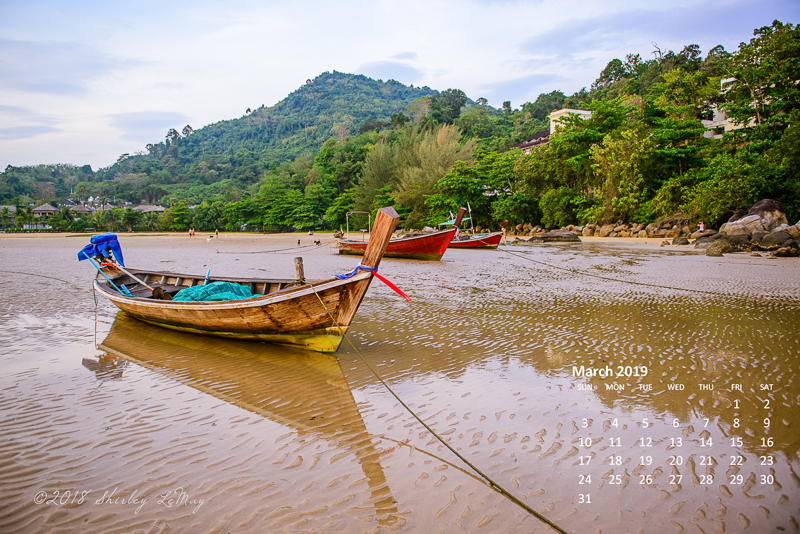 Instead of running that ultra during spring break week, I traveled to Thailand with my daughter, sister and a local running friend! The impetus of the trip was my daughter’s desire to visit a high school friend studying abroad. We flew over together then parted ways once I had delivered her to her friend’s place in Bangkok. My local running friend, Brenda, and I met up with my sister in Chiangmai. 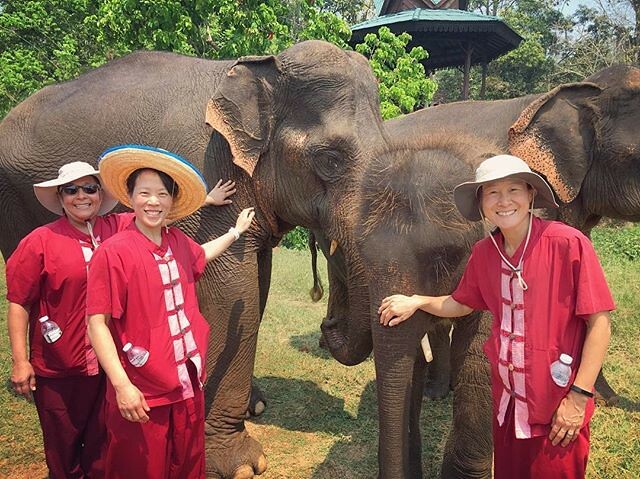 We hiked up a mountain, visited temples, took a Thai cooking class and interacted with elephants. 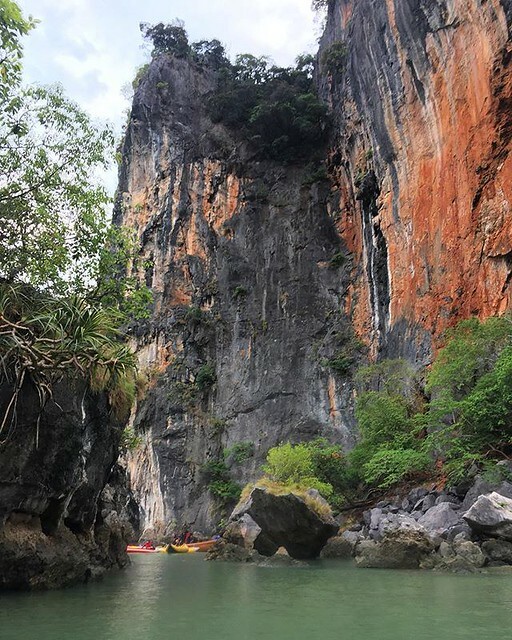 We flew to Phuket, relaxed on the beach, kayaked in sea hongs of Phang Nga Bay, experienced bio luminescent show and had a wonderful vacation. I rested my hip and returned to running in time for the Illinois Marathon weekend. But no Marathon for me. Instead, our family (me, husband Scott, kids Erica and Brian) formed a team and ran the Marathon Relay. I have wanted to do this as a family for many years but could never convince the non-runners. While we’ve all run 5ks , the 6+ mile distance seemed long for the kids. Erica has been running more and it was her desire to field a team that tipped the scales. Scott ran the first leg, then I met Erica at the first exchange (she had to work earlier that morning). Erica took the second leg and Scott and I made our way to the next exchange point. I ran the third leg, enjoying the thinned running field. The last exchange is located approximately 2 miles from our house, perfect for our son who would run the last portion of the race. Perfect because this allowed him to sleep in while the rest of us were on the course! 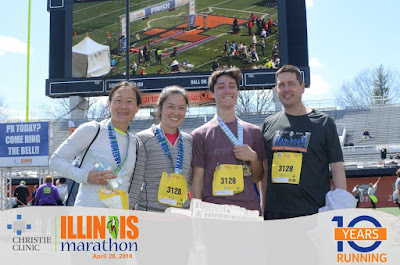 We met Brian at the entrance to Memorial stadium, ran in together and crossed the finish line. We were blessed with perfect weather that day - sun and mid 50s. It doesn’t get much better. I spent the rest of spring slowly regaining mileage. 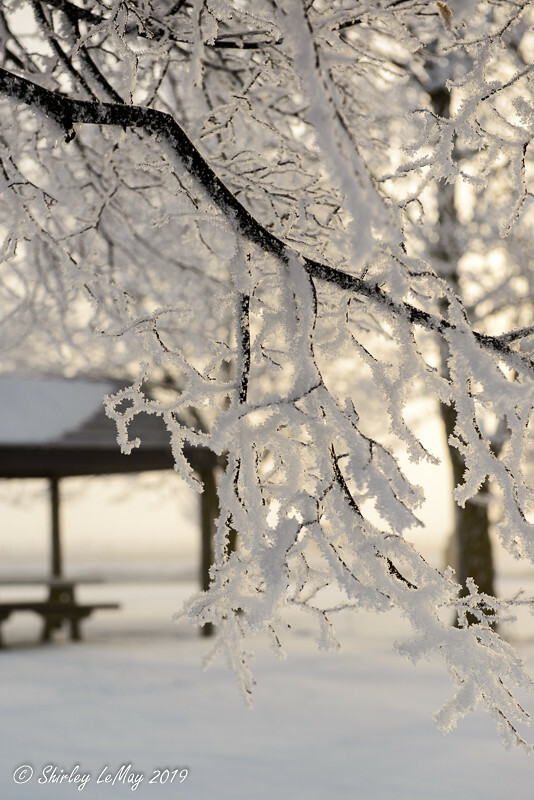 Winter's grip held spring captive and when it let go, summer barreled straight in. Cold then hot. 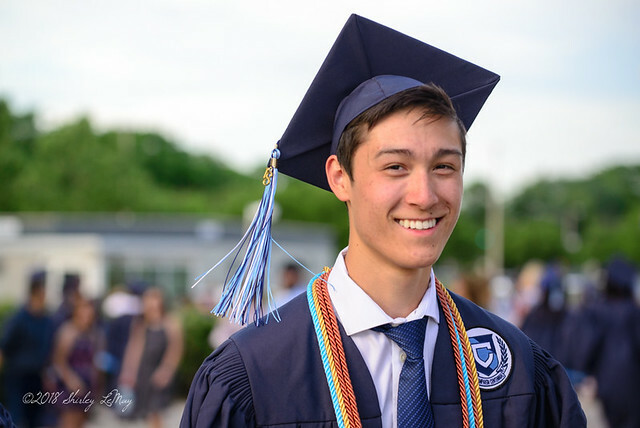 Brian graduated from high school, and suddenly it was summer. One morning, I received a text from my sister about a “vendor she uses at work who is the title sponsor of the NYC marathon” (TCS! 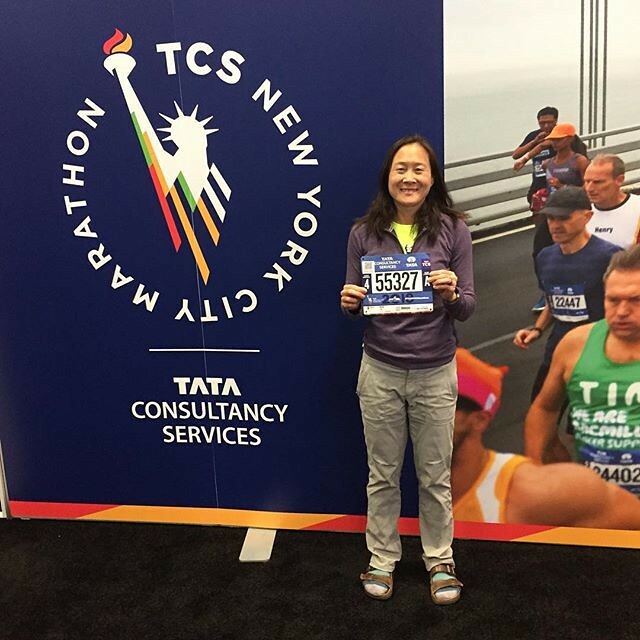 Tata Consulting Services) and “extending an invitation for her work team to participate in the NYC marathon”. Long story short, my sister manages to get me and her husband entries into NYC. And not just regular entries but VIP entries (special bus, special area in the Athletes' Village, special Finish line treatment and more). I start rebuilding miles. Cross training. I get the official invite in mid June. Then I injure myself doing yoga on Friday, July 13. I’m not a superstitious person, but seriously? 2. Do whatever I can from a training perspective, start the marathon and do the best I can. I could take a DNF (Did Not Finish) if things got really bad. I go with Option 2 - because when will I ever get this opportunity again? I follow several talented runners from my Run club via Strava and one of them is injured yet continuing to train for her fall marathon via the elliptical. I follow her lead and embark on a non traditional training program of swimming, cycling and elliptical. I incorporated a run-walk strategy 3 weeks prior to the race. My “20 miler” was replaced by 50 laps in the pool, 30 minutes of pool jogging, one hour cycling class then 6 miles using a 1:30 run, :30 walk cycle. I peaked my running at 8 miles, the week before the marathon. Instead of my normal 10 minute pace, I ran - walked the marathon with my sister and had a great time. If I hadn’t been injured, I would have run my own race. In the end, this was a great way to soak up NYC, support my sister and her first marathon experience. I wouldn’t change it for even a BQ. (Ok, maybe I would for that). So what did 2018 teach me from a running / fitness perspective? To be patient with injury recovery, to embrace the circumstances and do the best you can. Don’t let past accomplishments dictate how you face current challenges. I will never repeat the 5K PRs I earned in my 20’s. I doubt I will ever BQ. I’m ok with all that. Even with the lowest yearly mileage since 2012 and my worst marathon finish, I had an incredible running year. I expect 2019 will have its ups and downs but I intend to keep moving forward. I often buy flowers in the winter to brighten the home against the deary winter backdrop. 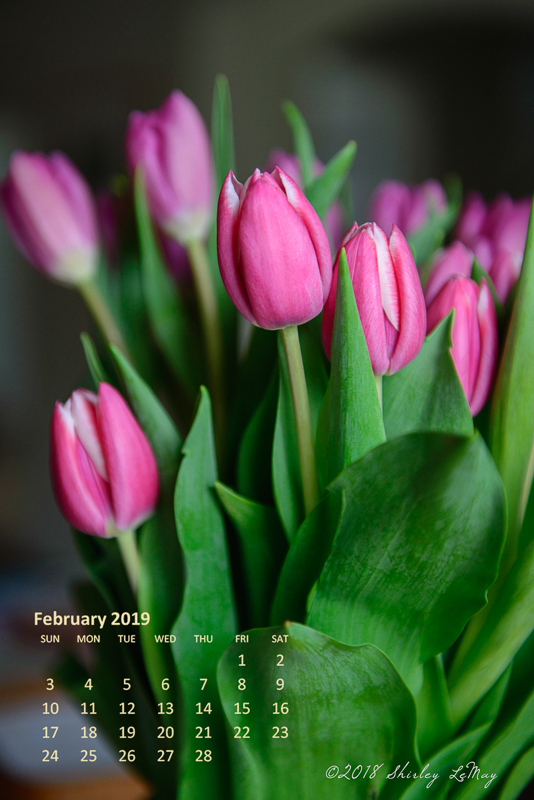 My flower of choice - the elegant tulip. You can enjoy them all month long! 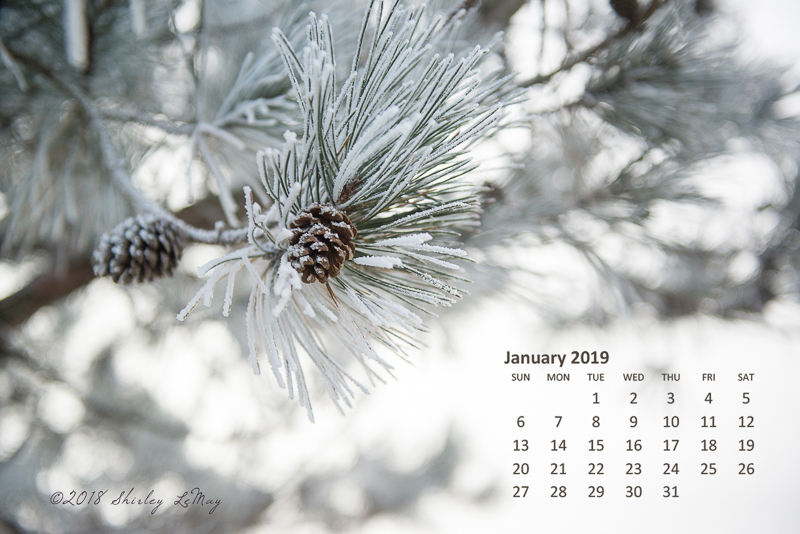 It's 2019, and here is January 2019 desktop calendar. I took this photo at an Interstate Rest stop en route to work. I've stopped to take photos here before due to the abundance of trees and natural areas. 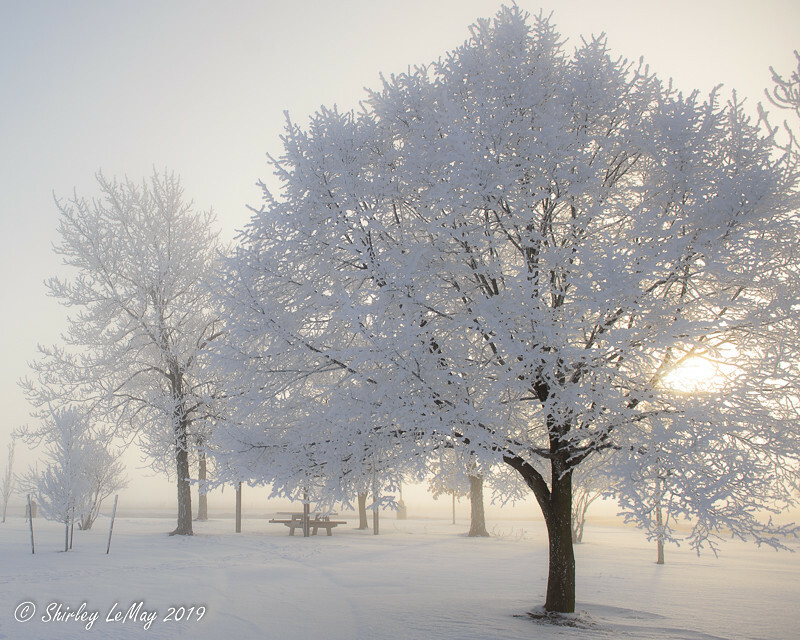 On this particular morning, freezing fog created an icy spread across all the fixtures of the land. 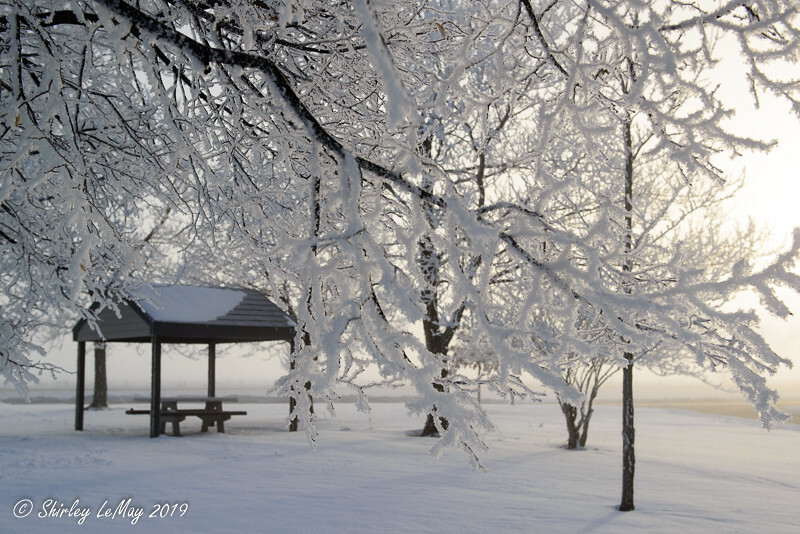 We don't get hoar frost but maybe every two years, so I'm always happy when it happens. 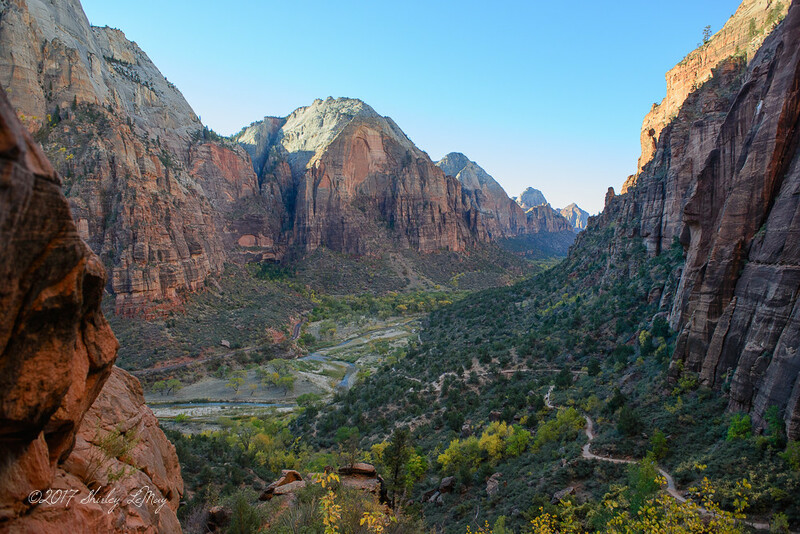 After completing the Lake Powell Half Marathon, we headed north to Zion National Park, a short two hour drive. 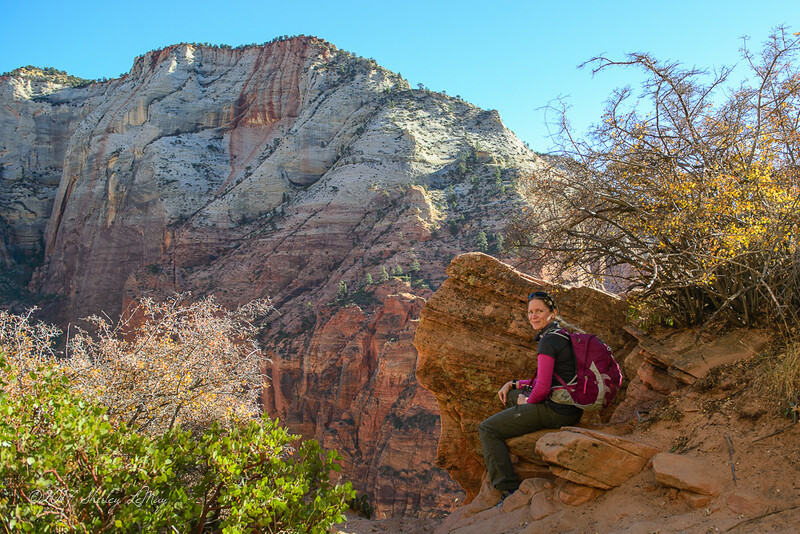 One could spend a week or more exploring Zion and during our two-day visit, we hiked the two most popular trails - Angels Landing and the Narrows. This appeared to be an obvious destination after the destination race as we encountered other runners from the Lake Powell race out in the park. 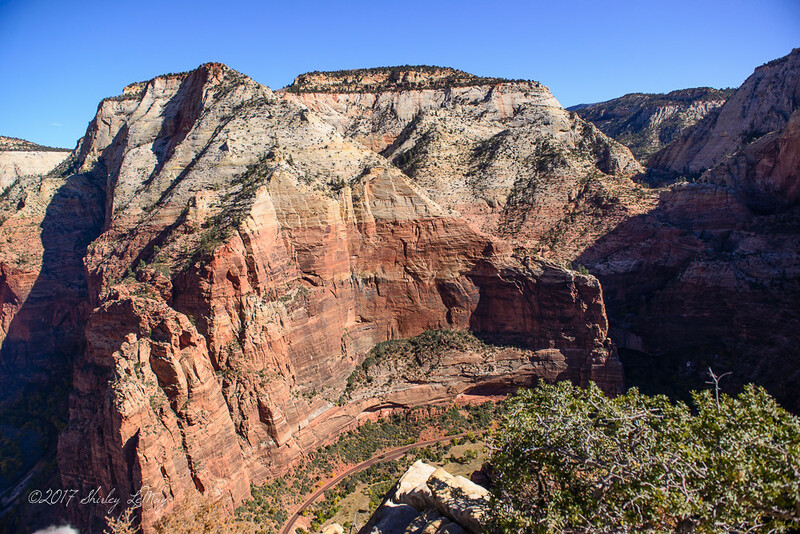 One of the most popular hikes in the park, this challenging climb starts with paved walkways on the West Rim Trail then heads into Refrigerator Canyon. After a series of short but steep switch backs (Walter's Wiggles)you can rest at a nice plateau (Scout's Landing) before ascending 1500 feet on cliff edges using chains as climbing aids. This was by far the most challenging hike I've ever done and I wouldn't have completed it without the encouragement of my friend Julia who suggested it in the first place! There are numerous blogs, websites, YouTube videos describing and virtualizing this climb so I won't repeat that content here with the exception of what worked for us. 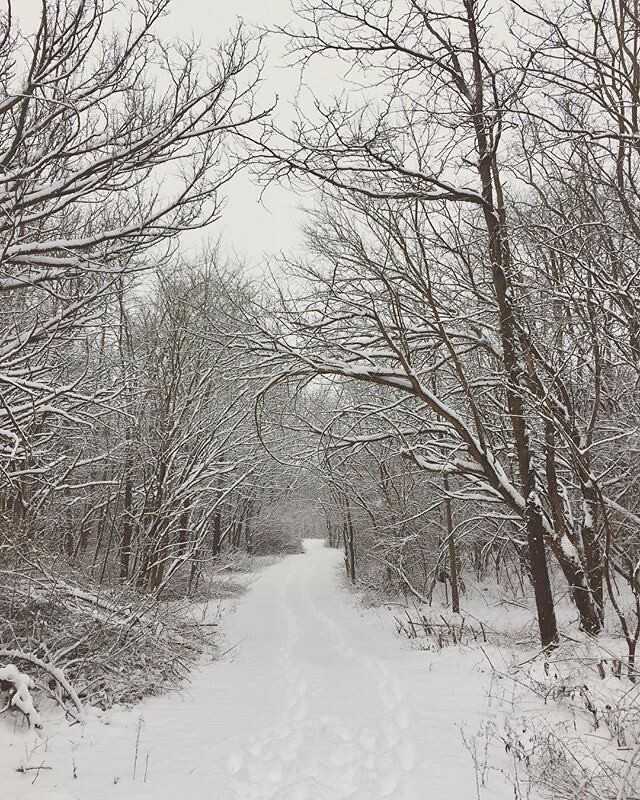 One - get to the trail early. I think it was barely light out when we got on the park bus that would take us to the trailhead. We weren't the first hikers out there, either! An early start means you will avoid the super hot conditions prevalent in a desert. Two - pack ample food and water. Julia is a seasoned adventurer - we packed containers of veggies, hummus, nuts, fruit, and protein bars. She is gluten intolerant and I avoid grains, sugar and simple carbs like bread so no sandwiches for us. The local market in Springdale had lots of packaged hiking food to choose from. We both used backpacks with water bladders for hands free hydration. Three - proper footwear like hiking boots. I used my trail running shoes with great success. Julia packed sturdier Keen hikers. You wouldn't believe how many people we saw heading up the paved walkway in flip flops. When you're on what feels like 2" of rock face and hanging on to a chain, you will feel more secure with grippy shoes. We Had to Hike All the Way Up There! Four - take your time going up, with plenty of breaks to rest, refuel and enjoy the amazing scenery. If / when you make it to the top, spend some time to bask in the accomplishment. Even if the climb is too much, getting to Scout's Landing is beautiful and enjoyable.